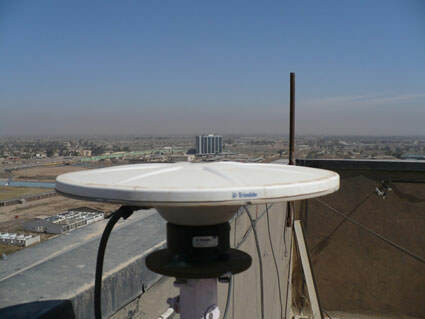 With the assistance of the United States Embassy, NOAA's National Geodetic Survey provided technical assistance to the Ministry of Water Resources, General Directorate for Surveying and Mapping in Iraq, for the first Continuously Operating Reference Station (CORS) to be installed by the Iraqi government. CORS is a permanently operating Global Positioning System (GPS) base station, which enables the determination of highly accurate GPS positions. The new Iraqi-installed CORS, part of the Iraqi Geospatial Reference System, will improve the quality, accuracy, and cost of airfield and boundary surveys and other precise positioning activities in Iraq. This CORS looks east over the city of Baghdad and is maintained and operated by the Iraq Ministry of Water Resources.